Borough of Barnsley attended Doncaster Dartes' "Mad March Sprints" at Adwick Leisure centre last weekend. A sterling performance from the secured the club an overall placing of 5th with a score of 159.5. 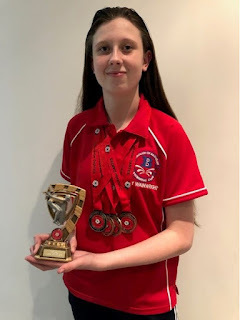 Lucy Wainright (13) secured the top girl award for age 13/14 with 14 points and Sam Guettat came in 6th in the 13/14 boys grouping with a total of 16 points. Evie Lancster (9) secured 4th with 12 points and in the 10 year old age group Alex Tiggardine claimed a solid 7th places with Oliver Austin in the boys narrowly missing 4th by 1 point. Lucy Wainwright with the 13/14 year old top girl trophy. 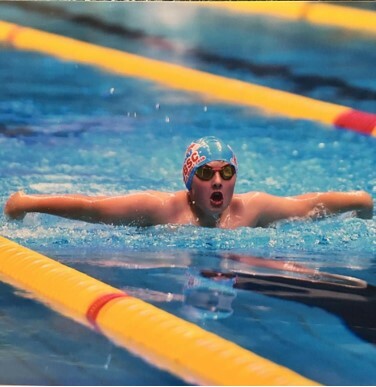 Borough of Barnsley's swimmers have been taking part in the Yorkshire Championships over 3 weekends in the winter. Eligibility is via achievement of required entry times which in turn sets the swimmers up against some of the countries fastest swimmers. Borough of Barnsley were in completion at City of Leeds' New Year Meet at John Charles Centre for Sport at the Weekend. Captained by Millie Hamby and Matt Selous along with Head Coach Carly Herbert the squad of 16 came away from the weekend with 5 golds, 5 silver and 4 bronze medals. 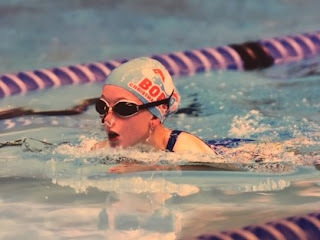 Club spokesman Adrian Wightman said "Despite strong completion the swimmers managed to secure multiple personal bests as well as additional qualification times for the upcoming Yorkshire Championships." Barnsley's next competition is with Rotherham Metro in 2 weeks time at Ponds Forge. Borough of Barnsley took over 50 top 3 medals this weekend at their 23rd Annual Christmas Sprint at Ponds Forge. Competing against swimmers from clubs from the region the squad lead by club Captain's Millie Hamby and Greg Lugton came away with 28 gold medals, 8 silver and 20 bronze medals. Club Spokesman Adrian Wightman said "The squad had a great days racing and came away with some well-earned medals and some cracking personal bests. Some of our younger swimmers excelled in a very daunting arena setting and swam some amazing races. We took 70 BoBSC swimmers to the gala and hosted a further 350 swimmers from other clubs. We also had an auperb Christmas themed swim hat designed by Harry Austen which many of the BoBSC swimmers wore which added to the Christmas theme of the day"